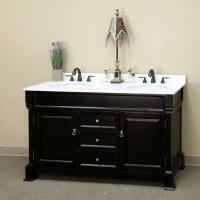 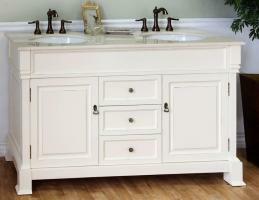 This beautiful bathroom set with a traditional design includes a large double sink vanity and a matching mirror. 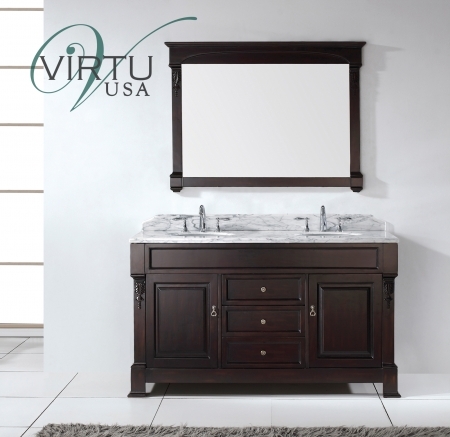 The vanity base provides ample room for storage with three drawers and two single cabinets. The dark walnut finish is enhanced with the white marble of the counter top and sinks. 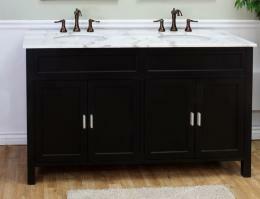 The antique brass hardware pulls look great with the dark color as well.